Exquisite Finishes offers high quality power washing services to the greator North East. From fleet washing to graffiti removal, we can handle any project, large or small. Commercial Building Power Washing is a service our team is highly trained in. We know the importance of a clean establishment when it comes to the value customers and tenants expect. Professional paver & deck cleaning and restorations is one of our many specialties. Along with our highly knowledgable team we utilize the best tools available in the industry today. Is your house in need of a good cleaning? We offer top-notch house washing services to greater NorthEast area. Our efficeint, thorough and affordable house cleaning services always leave our clients beyond satisfied. Our team is highly trained and has years of experience cleaning parking garage facilities. With the know-how and best tools in the industry we highly efficient and always leave our customers satisfied. Exquisite Finishes has the ability to remove unsightly graffiti and bring your buildings, walls and any vandalized surface back to its clean and professional look. Our concrete pressure washing techniques will bring your dirty concrete driveway back to life. Mold, mildew, dirt and grime are no competition for our professional concrete cleaning systems.
. Our prices are competitive and our fleet washing systems are industry leading. 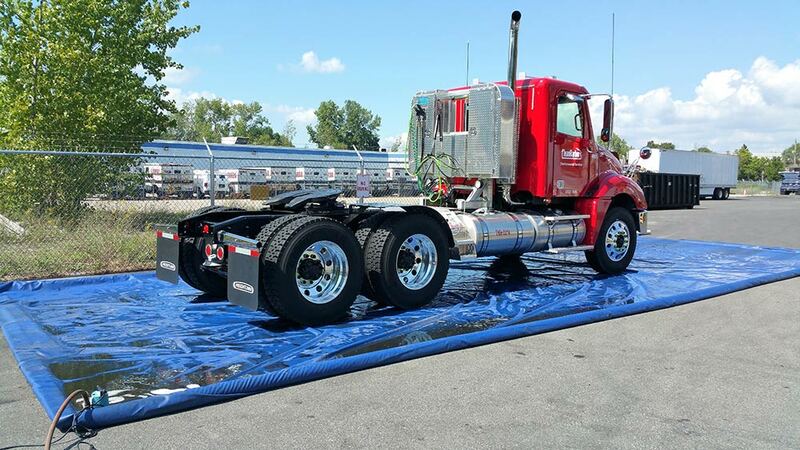 We have been offering and mastering the techniques of fleet washing for over a decade. Ready to get your power washing project started? We strive to make certain every power washing service we offer is safe for the environment in every way possible. 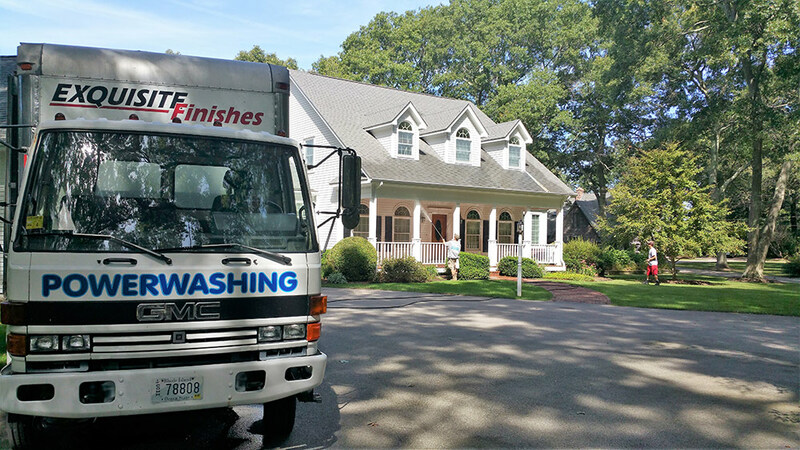 Keeping up with the latest the industry has to offer, Exquisite Finishes is certified by the highly acclaimed Power Washers of North America Organization. We offer state of the art Wash Water Recovery where possible. This is one of the best factors available to help keep the environment safe from chemical contamination. We’ve been serving Rhode Island, New England & Massachusetts businesses and residential homes with power washing services for over twenty years and we are proud to say that we have earned a reputation in these areas for exceeding our customers expectations. Our pressure washing contractors are trained to use safe cleaning techniques on all outdoor surfaces, further protecting your investment. Professional Power Washing Equipment To Ge The Job Done Right! We own a ride-on pressure washing surface cleaning system, known as the “Hover Wash”, that can clean 10,000 square feet per hour. Wastewater Recovery allows for environmentally friendly results! Let us help keep your facility within the EPA Guidelines. The system was developed to clean concrete. It sports a high pressure water broom, 20-inch Hover Wash Brush, and a special attachment for gum removal! By following a consistent maintenance routine, one can keep their exterior surfaces in a like-new condition. An exterior area of your home or commercial building that is allowed to deteriorate from neglect will certainly require future repairs. That cost typically exceeds that of a simple, routine maintenance with power washing. If you would like an estimate custom tailored to your businesses needs, please contact us today. Is Your Investment (Commercial or Residential) Protected? 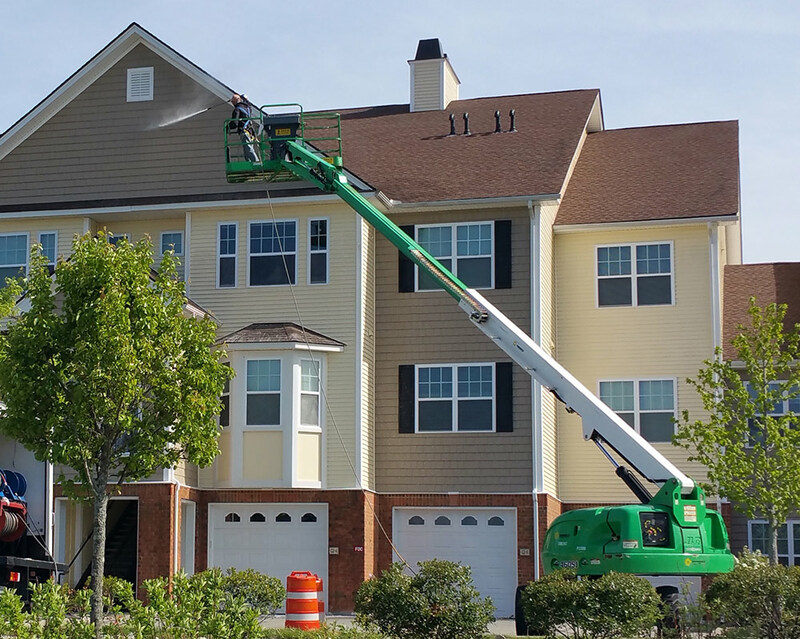 A professional exterior cleaning of your home or business can reveal stunning results when cleaned professionally with use of high-pressure water. Do your exterior surfaces represent a polished image of your company? If not, don’t hesitate to click here and request a free quote or call now (401) 732-8000. © 2017 Exquisite Finishes Inc.